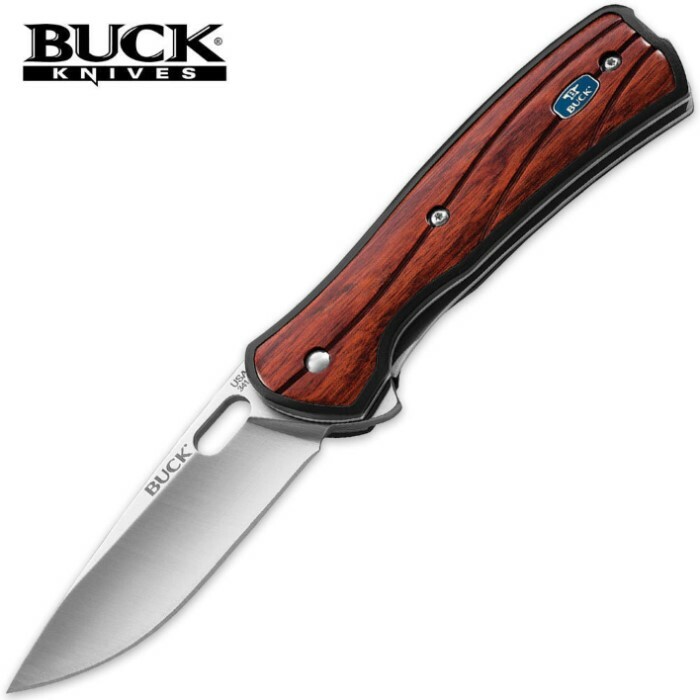 Buck Vantage Select Rosewood Dymondwood Folding Pocket Knife | BUDK.com - Knives & Swords At The Lowest Prices! The popular Vantage series from Buck Knives provides a superb lineup of everyday carry knives that offer smooth,lightweight and durable designs. They offer a thumb hole for one-hand opening and dual steel liners,giving you reliability and quality you can count on. The handsome Rosewood Dymondwood handle adds an elegance factor you can't beat.